Knitting Like Crazy: Creekwood Sale! I know lots of you have already knit the Creekwood shawlette during the KAL last November, but if you didn't, you can get the pattern on sale now. It's 20% off through February 16th! Just use the coupon code "sockyarnshawl" at checkout to get the discount. 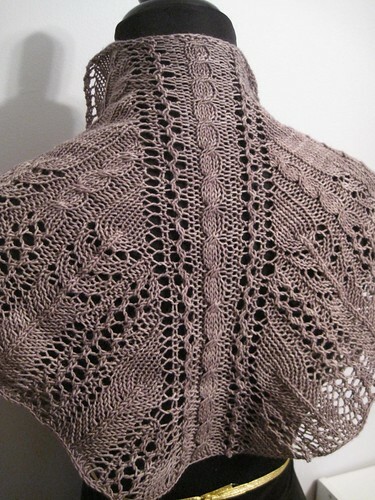 The Creekwood shawlette features cables and lace (my new favorite combo!) and includes instructions on how to make the shawl bigger, if you like. $4.80 with coupon code "sockyarnshawl"